Do you ever dream about days where the whole world is shut down because it’s snowing out? I love snow days so much and always wish for the kind where no one goes into work and you can spend the day doing whatever you want. My perfect snow day would start off with me knowing that school was cancelled the night before. I used to hate waking up early for school and then finding out school was cancelled. So, I would stop what I was doing that night and start watching Christmas movies until I fell asleep. I would wake up the next morning to a blanket of snow covering the ground and it would be beautiful and peaceful. No cars on the road, just a quiet calm outside. Once awake, I would make pancakes for breakfast. They’re my favorite and I don’t have them enough. I would drink some coffee and eat with my family. Then I would grab my favorite cozy blanket and sit on the couch and start watching Christmas movies again. We would have the Christmas tree on and my dogs would cuddle with me while we watch Elf or The Santa Clause. After a while I would probably take a nap because, lets be honest, I love my naps. I would then wake up and read a book. I love to read and I never have enough time to read for pleasure during the school year. So I would 100% take advantage of a day off to read! Then we would have either pasta for dinner or homemade soup. Then back to the couch to watch more Christmas movies until I fall asleep. Clearly, I would keep my snow day relaxing and full of things I enjoy! 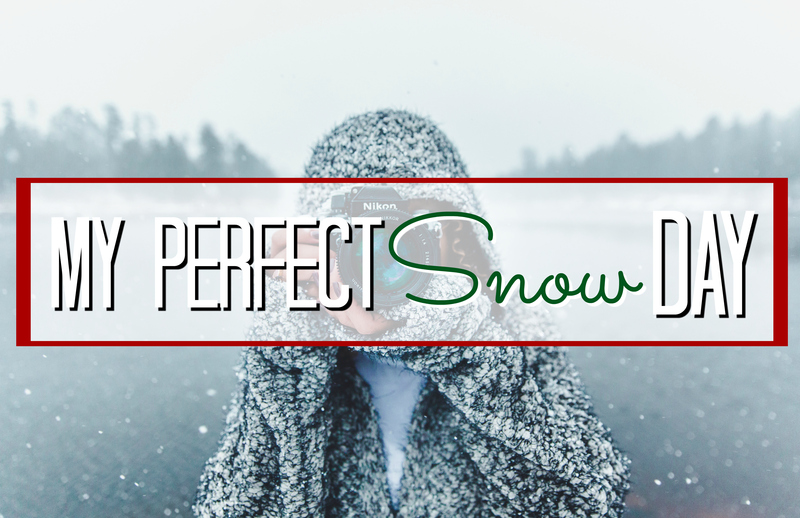 What would your perfect snow day consist of?